The dust has settled and the public cloud price wars are over. Everyone is shifting their attention to managing their AWS resources, but the difficulty lies in keeping track of them. So what's the best way to maximize your resources and get what you pay for with AWS? Part of the answer is realigning how you thing about the cloud in relation to your data center. 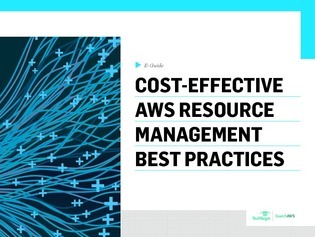 Access this e-guide for best practices on maximizing your AWS ROI.